BOX OFFICE COLLECTION: Salman Khan’s Bajrangi Bhaijaan is solid as a rock on day 5 in China! 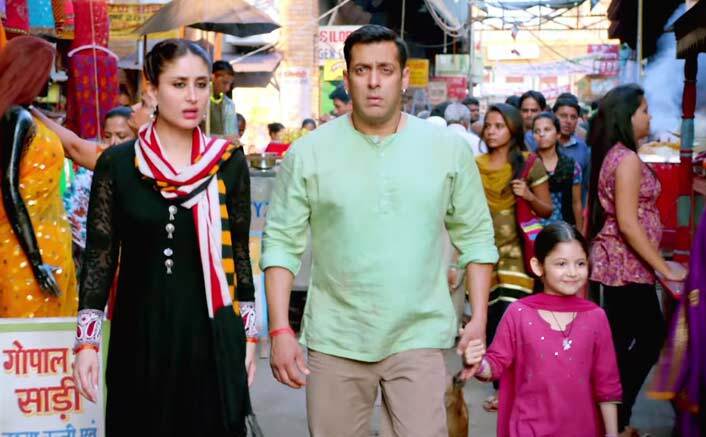 Salman Khan’s Bajrangi Bhaijaan is making history at the box office in the past couple days. The latest performance of the Bollywood movie in China is showing that there’s literally no stopping to what this the Bhai movie is about to do in a couple more days. By looking at the latest trend, we are sure that the movie will end the 100 crore club in China itself. Here’s a look at how the movie has performed so far. The movie experienced a massive jump in the past few days. It has raked in another 1.82 million dollars and the score has pushed up to 78.49 crores which definitely means that Bajrangi Bhaijaan is about to smash records in the next few days by hitting the 100 crore margin soon. For those of you who havent watched Bajrangi Bhaijaan, this film is a beautiful story about a young Pakistani girl who misses her train and ends up getting lost in India. Salman who plays a very interesting character here adopts the girl to find out that she cant speak and that’s from Pakistan. He then makes it a point to drop her back home safely. What happens after that, is absolutely amazing and worth watching. In case you’ve missed out this bhai movie, make it a point to watch it soon because you’d love Salman even more after seeing this.